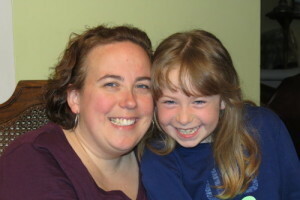 I am a mom to a beautiful 6yr old girl – Kayla. Since a very young age I have always had a camera in my hand. When my daughter was born my creative side was once again born. I think in her first year I took 5000 pictures. I knew this was my passion, and with the support of my husband I started my own business when my daughter was 2. It was a risk but I knew I was very passionate about my decision. Almost 6 years later and it was the best decision I ever made. The support of my family and friends makes it even better. I started out travelling with the whole studio to people’s homes. Still travel, but not as much. Many people come to my home studio for the same fun and personable experience. Photographing children is so much fun! I absolutely love my job. Almost 3 years ago I started West Island Mommies. It’s an online resource for the western part of Montreal. It focuses on local businesses, events, mommy stuff, etc. Everyday a mom tells me how much our site means to her and how it helps plan her weekends filled with all the wonderful activities happening around the West Island. Being a mom has helped me to learn to multi-task and continue to take on new challenges. The love and encouragement from my daughter and husband keeps me going. Being positive. Not to let the negativity of life get in the way of my goals. I was so good at this when my daughter was a baby. I try to plan ahead when it comes to school and work. I lean on my husband a lot. Don’t give up! If you believe in yourself you can do anything you want. With a great support system, I believe anything is possible. One day I walked into my living room to find my daughter setting up her dolls for a photo shoot. Using our family camera, she was snapping away. I just stood there and watched her act like I do with the kids. Amazes me how our kids look up to us. She is the light of my life! I know I have many. One I can think of was sending my daughter to school in heavy pants and long sleeve shirt to only realize at noon that it was going to be +25 that day. Who knew it would get that hot in April! I try very hard to balance family and work. Some days it can be hard. Thankfully the support of my family has helped. My husband is my biggest supporter. I work most weekends and without his support it would not be possible. I think it can from time to time. My house may be a little messy at times but it’s the price I pay to have some family time on a day off or work at home. I try my best at all times. My family. My husband is a HUGE help. He helps me at big events whenever I need him. My parents and in-laws for watching Kayla on a moment’s notice. Not sure what I would do without them- they are my biggest supporters. My daughter farted in the backseat of the car then yelled out “ Is there a trumpet in the car?” We laughed and laughed. She has me laughing all the time. Precious moments are the best! I just want you to be happy! Choose a career that you like and enjoy. Find the man or woman of your dreams and be happy! 1. Baby Wipes – they work for everything and everyone! 2. Stick-on Placemats – they were amazing when my daughter was a baby. Kept her busy at any restaurant. 3. 3D Mascara – amazing! 4. Camera – and the one on my phone. Captures some special little moments. 5. Cuddle time with my daughter every morning before she goes off to school. 6. Waving goodbye at the door in my PJ’s every morning to my daughter and blowing kisses to her. Best moment of my day! 7. Any kid-friendly restaurant. It’s nice to go out once in awhile and catering to kids is a Big Plus! 8. PVR…I tape all my favourite shows so when I do get a free minute after everyone is in bed I can sit back for an hour or so and catch up.